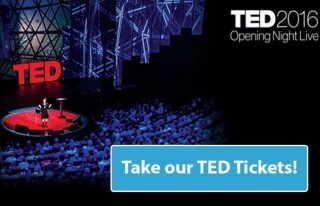 We have 2 give away tickets for the first-time screening of a TED talk in cinemas! This February 2016, New Farm Cinemas will be showing a live stream of TED2016’s opening segments. To win, tell us (at brisbane@becollective.net) which BE Collective staff member presented a TED talk in the past? hint: check the education section on our website & filter by presentations.